The "Dexter" star will perform the live musical in New York City on the day of the Big Game. 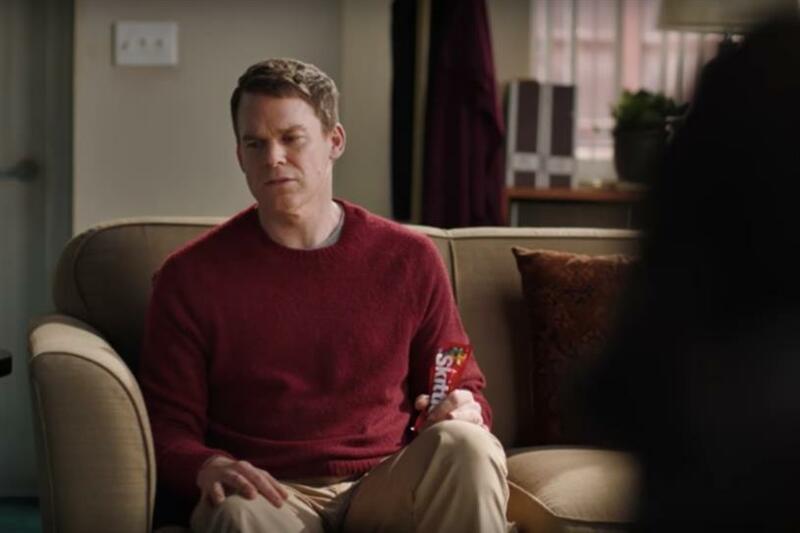 Skittles, which turned heads last year by creating a Super Bowl commercial for only one person to watch, is looking to make a splash once again during the big game with a live musical performance by actor Michael C. Hall. Hall, best known for role in the TV series "Dexter," will star in the "Skittles Commercial: The Broadway Musical" on Sunday, February 3 at 1 p.m. EST in New York City’s The Town Hall. Tickets to the first-ever Big Game commercial to be performed as a Broadway musical sold quickly after the brand announced the show last week, but additional tickets are available to purchase on Ticketmaster.com today. In its teaser for the show, Skittles showcases Hall struggling with his decision to accept his role in the musical. To keep up with the brand’s Super Bowl shenanigans, visit SkittlesTheMusical.com or Skittles’ social media platforms, including Facebook, Twitter and Instagram. Proceeds from the show will be donated to Broadway Cares/Equity Fights AIDS, a nonprofit that awards annual grants that help men, women and children in all 50 states, Puerto Rico and Washington, D.C., receive lifesaving medications, health care, nutritious meals, counseling and emergency assistance. Skittles will also match the overall ticket donation amount.